The Monaco Boat Show 2010 starts 22 September and we’ve got a sneak preview of some of the most exciting concept yachts that will be on display at the show. 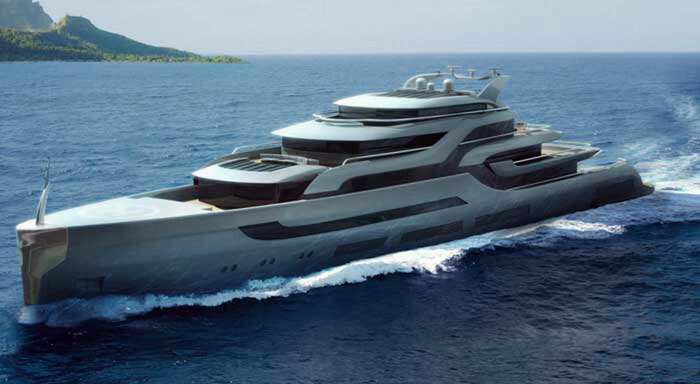 Click here, or scroll to the bottom of the page, to browse our gallery of new concept yachts. What is it? The joint product of a design group and a decorative glass company, this outrageous 90-metre yacht derives its shape from, they claim, a whale and a traditional fishing boat. 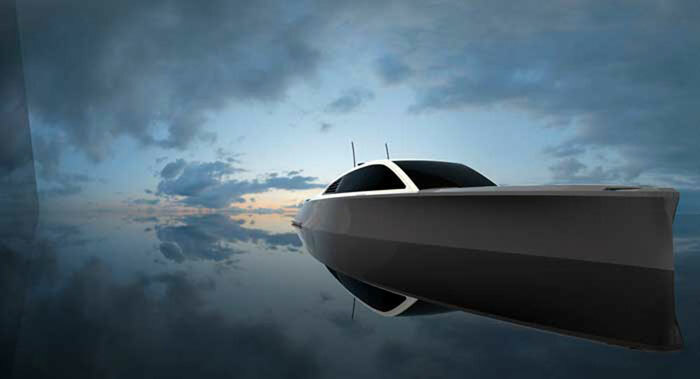 Deco have combined to produce this startling yacht. conservatories with sliding roofs and huge balconies that extend forward. Would appeal to: Radical thinkers with unlimited vision and unlimited pockets! LOA: 90.0m. Top speed: 20 knots. Range: 5,000nm. Guests: 12. Cabins: 6. Why is it so special? She offers unsurpassed interior and exterior room for her size, with ample storage and deck space for toys, but still manages to sneak under the 500gt limit. The living spaces are designed to create different ‘climate zones’, and her optimised hull design offers great comfort under way and at rest. Look out for: The ability to open up the interior spaces of the guest areas on the two upper decks to take full advantage of good weather. Would appeal to: Experienced owners who intend to sail around the world in comfort and style. LOA: 39.0m. Guests: 10. Cabins: 5. Top speed: 15 knots. Range: 5,600nm @ 10 knots. What is it? Sixty metres of motor yacht combining the best in British design, with naval architecture by BMT Nigel Gee and styling by Design Unlimited. 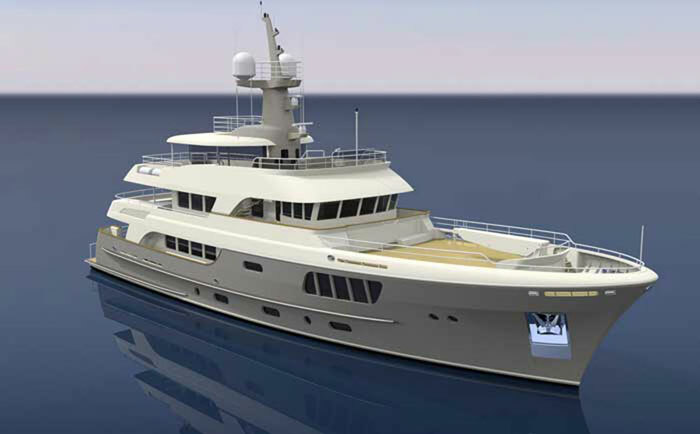 It’s pegged to be built by Ruea Yachts, the recently launched superyacht division of Thailand-based Yacht Solutions. Why is it so special? One entire deck is reserved for the owner’s accommodation, which features a separate hot-tub and sauna. There is also a fully equipped gym and cinema on board. Specifically targeted at yacht owners in Asia. Look out for: All the outdoor areas offer ample shade for comfortable tropical cruising. There is a large beach deck/terrace with a separate bar area at the stern plus a 3.5-metre lap-pool and a PWC. Would appeal to: Those who enjoy visiting tropical waters on a large motor yacht that offers plenty of shaded external areas and has the range to cover long distances without needing to refuel. LOA: 60.2m. Top speed: 16-plus knots. Range: 4,900nm. Guests: 12. Cabins: 6. Crew: 14. What is it? A traditional three-masted schooner with every modern amenity. Why is it so special? The ease of operation – computer-controlled furling booms, hydraulic roller furling head, fisherman sails, captive winches and lightweight spars mean that this seemingly intricate set of sails gives a balanced, flexible rig boasting a huge sail area without the hassle you might expect. Below decks there is plenty of room for ten guests in five staterooms, with the owner’s suite featuring a dedicated staircase from the main deck. The two-tier engineroom has a diesel-electric propulsion system and a dedicated control room with a 270° view. Look out for: The full-beam main saloon with picturesque views from large deckhouse windows. Would appeal to: Thoroughly modern owners seeking a sailing yacht that is classically beautiful. LOA: 75.3m. Guests: 10. Cabins: 5. What is it? A collaboration between fashion designer Elie Saab and Weyves Couture, and the first of three yachts to be designed by the Lebanese couturier and built at Oceanco. Why is it so special? The sense of space and refinement – a central aim of Elie Saab’s interior. Two private suites along two decks have been reserved for the owner, with ten luxurious guest suites, a swimming pool, whirlpool, theatre, spa and gym onboard. A helicopter, submarine, car and water toys complete the features list. Look out for: Unusually high internal deckheads, which add to the feeling of space. 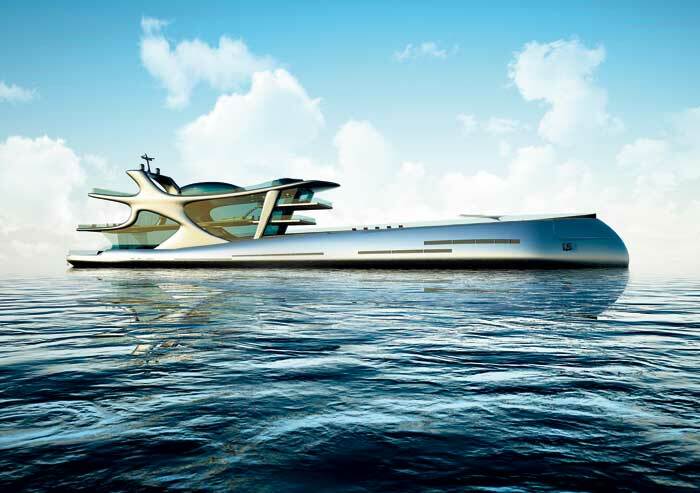 Would appeal to: Visionary yacht owners eager to possess a unique haute-couture yacht. LOA: 117.3m. Top speed: 20 knots. Guests: 24. Cabins: 12. What is it? A 30-metre raised pilothouse steel and alloy motor yacht with a long range. Why is it so special? 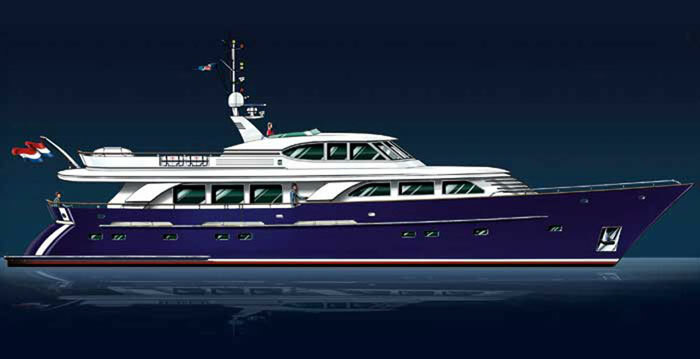 Despite her modest 30-metre length, she has strong lines and lovely proportions that make her look larger than she is. Werner has gone to great lengths to create a spacious interior for this compact superyacht. Look out for: The uncompromised wheelhouse space, which means that standing on the bridge should give the feeling of being on a tri-deck yacht. Would appeal to: Those who appreciate a modest design with elegant lines and a well-shaped hull, but don’t want to compromise on interior space. LOA: 30.0m. Top speed: 12.5 knots. Range: 5,000m @ 10 knots. Guests: 8. Cabins: 4. Crew: 4. What is it? A custom tender design that is easily modified to suit an owner’s wishes. A prototype is planned for 2012. Why is it so special? This fun, funky tender can be used as a dayboat or simply to transport guests between the mothership and the shore. It’s designed to be comfortable for guests who like to sit inside, as well as those who enjoy being out in the fresh air. The prototype will be capable of carrying 14 guests. Look out for: Safety and function have not been forgotten in the desire to make a special tender that stands out from the crowd. Would appeal to: An owner who wants a tender customised to match his yacht. What is it? The result of a challenge from an experienced owner for a very large, very private world-cruising yacht. 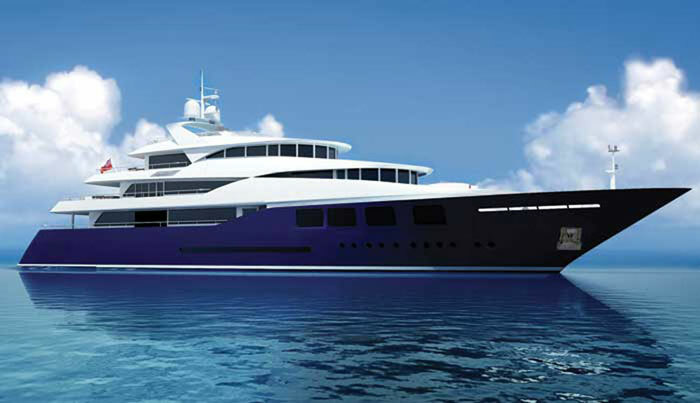 The enquiring client had been impressed with this designer’s 74-metre Siren and 67-metre Triple-Seven. Why is it so special? Elegant lines and wide-open spaces, expanding on the ideas used for Luna from the same designer. The yacht is divided into private guest areas aft and service/crew areas forward – crew will love their own fitness centre and forward deck space. Look out for: The split-level main saloon, which has huge glass windows extending over both floors. Would appeal to: Those who cruise with lots of guests. LOA: 180.0m. Top speed: 25 knots. Range: 9,000 miles @ 18 knots. Guests: 14. Cabins: 6. Crew: 70 (est). What is it? The latest concept from the innovative Dunya yard, this powerful-looking yacht balances great design with the practical uses it can be put to at sea. Why is it so special?Her bold, Ken Freivokh-designed lines – a maze of glass and superstructure. But it’s also a tool for the business leader – there are dedicated conference and secretarial areas. Look out for: An all-glass pool spanning two decks. Talk about bringing the sea closer: there’ll be amazing views aft through the glass wall, and it’s sure to become the focal point of the yacht’s social activity. It’ll take a while to fill but it’ll be worth it. Would appeal to: The global chieftain who needs to be able to ‘work from home’. LOA: 88.0m. Top speed: 19 knots. Range: 4,900nm @ 17 knots. Guests: 14. Crew: 26. Cabins: 7. What is it? 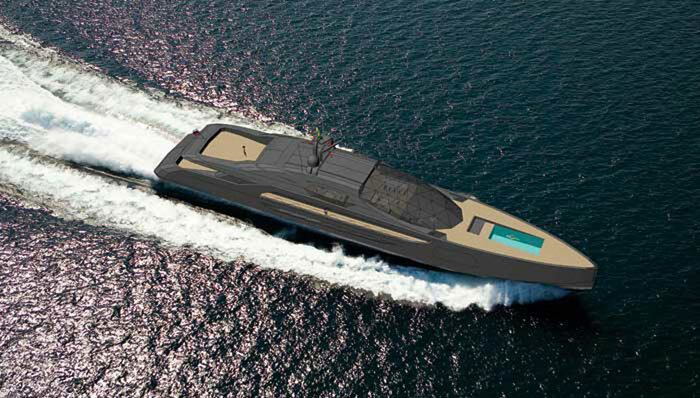 Code-named Project Stealth, this 62-metre has an extreme, masculine design with sleek looks and hybrid propulsion. The long and narrow waterline, enhanced by the vertical bow, reduces resistance and optimises fuel consumption. Why is it so special?An upper deck with a total length of 36 metres, dedicated to the owner’s penthouse stateroom with large terrace aft. Both the owner and the bridge share the glass dome with its triangularshaped panes, which are tinted overhead but graduate into clear glass in the wheelhouse. 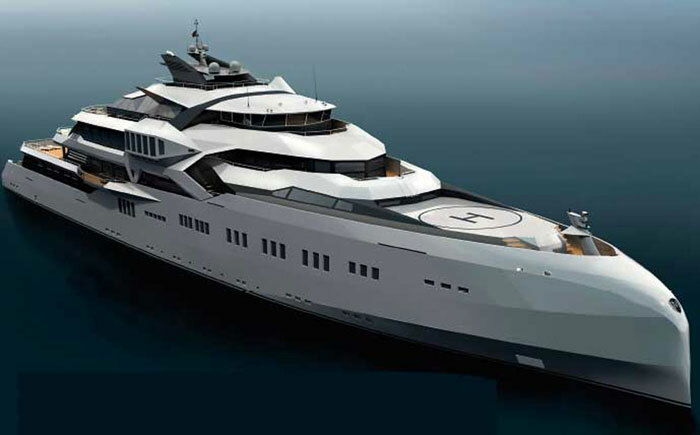 Look out for: The 7-metre-long swimming pool on the foredeck, complete with artificial current. Would appeal to: Anyone who wants to release their inner James Bond in a unique yacht that may be stealthy by name but is flamboyant by nature. LOA: 62.0m. Top speed: 35 knots. Range: 4,000nm. Guests: 12. Cabins: 6. Crew: 11. What is it? A 90-metre with attitude. The combination of a sporty profile, an aggressive axe bow, a navy grey finish and a series of sharp-faceted surfaces give it the menacing air of a stealth-ship. It will be built by the Nobiskrug yard in Germany. Why is it so special? She’s surprisingly fuel efficient. Look out for: The glass pods that jut out on either side of the upper deck. The area is envisaged as a library or bar, allowing guests to gaze down at the sea through the lower windows. Other highlights include a beach club spa with a pool, bar and massage area, and a sundeck with its own cinema and hair salon. Would appeal to: Health freaks and the security conscious – the interior is built like a fortress with all the staircases inside for maximum safety and privacy. LOA: 90.0m. Top speed: 18 knots. Range: 5,000 miles @ 15 knots. Guests: 20. Cabins: 10. Crew: 23. What is it? 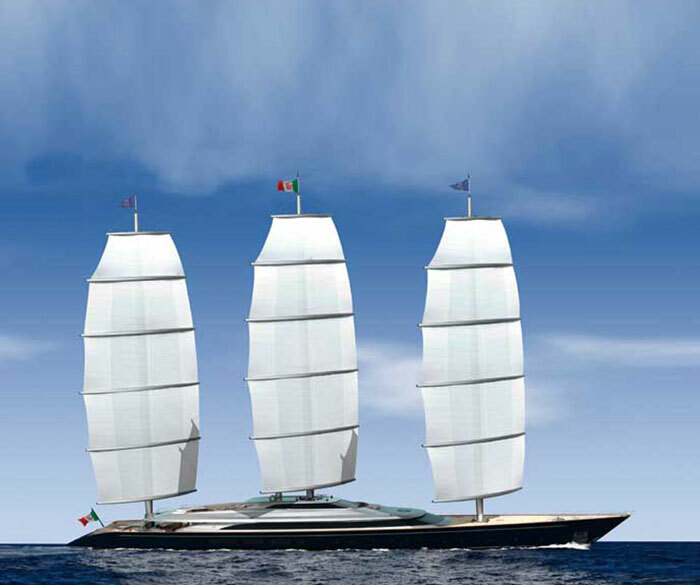 A new and larger clipper featuring major developments and enhancements to Maltese Falcon. Why is it so special? A reconfigured sailplan with three taller carbon masts and more distance between the spars should optimise the efficiency of the rig. The hull has also been given a sleeker makeover. Look out for: The spectacular stairway on her centreline that rises from the aft deck to the flybridge to encircle the mizzen mast. Would appeal to: Those wanting the Maltese Falcon and a little bit extra. LOA: 101.8m. Top speed: 19 knots. Guests: 12. Cabins: 6.